What else is your map telling you? When it comes to maps things aren’t always what they seem. Whether we are using them to tell us about geography, location, place, process or for way-finding, maps are incredibly useful and sophisticated devices. But all maps require that you to know how to read them, and this ‘literacy’ can be surprisingly diverse. Today we live in a connected world with the ubiquity of highly detailed and very granular online maps such as those from Google or Apple. However, not so long ago most of our maps were paper; you purchased your detailed maps in very small parts or you viewed larger amounts of the terrain but with reduced detail. The use of many maps and combinations of maps was the only way to understand the territory. Of course if you lived in Britain 50 years ago you could “ask a policeman”. Police walked the streets in the small area they patrolled and had a detailed mental map of that place. They knew the people, the businesses and activities. 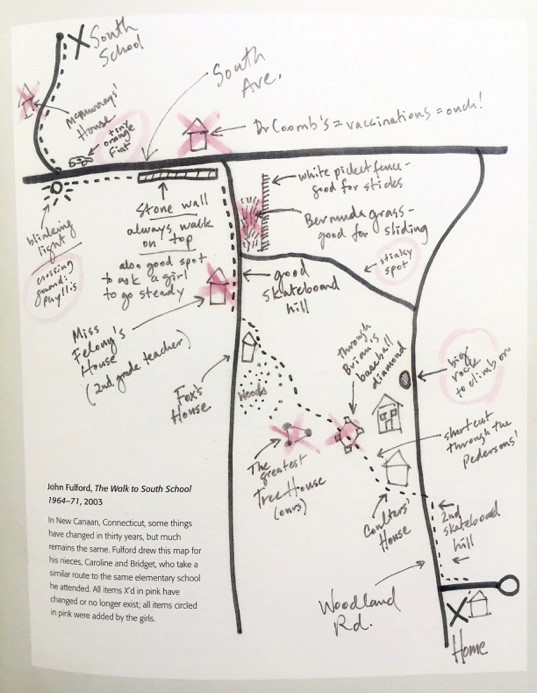 They also had a narrative for the place, a psychology of the space, a psychogeography created by the history, events, crimes, threats and stories of the streets. A diversity of maps is important and comes from our need for visual, physical, mental and cultural meaning in relation to place. Below is a poster showing a map of London. It’s not a strict cartographic rendering, but rather an illustration of place. 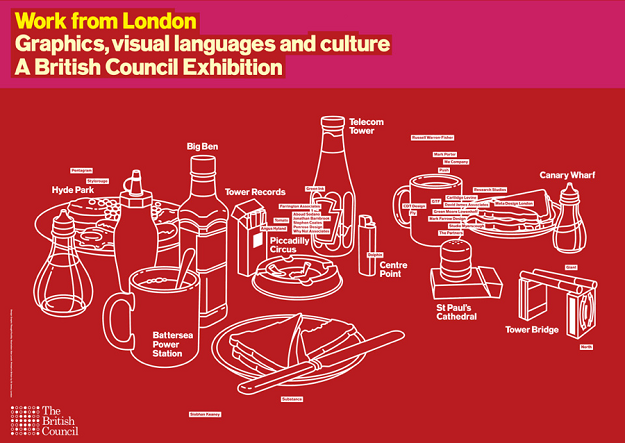 It shows the location of London's design studios by describing them as if you were with a friend having breakfast in a greasy spoon cafe. It’s place-making combined with storytelling and context, and it’s a very human way of helping others to understand a place. 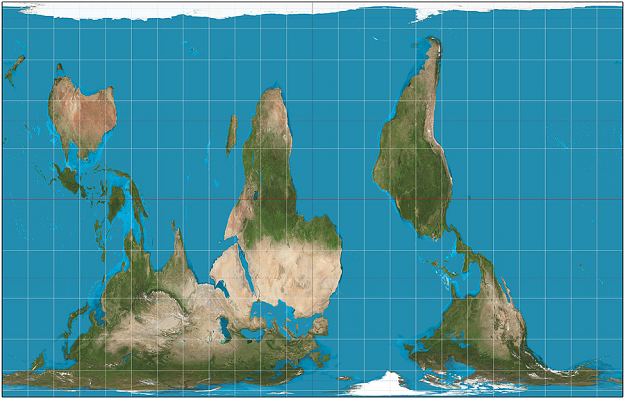 It’s the Gall-Peters projection (see this great clip from the West Wing arguing why we should use it over the Mercator projection). Except, it's also inverted, to remind us that there’s really no "right way up" when viewing from space. In fact, our view of north at the top and south at the bottom is a construct, an ‘enforced order’. It’s how Northern Europeans decided to draw the world and thus it’s how we read it (even NASA has to rotate images of the globe so that they appear the ‘right way up’ to viewers). 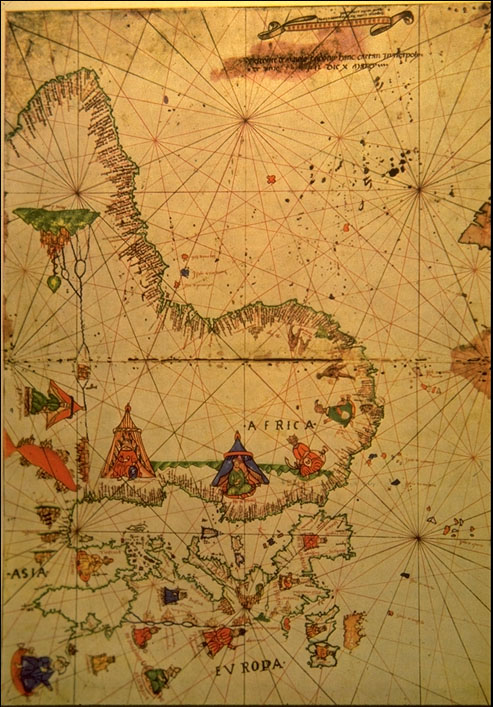 But it was not always so, even at the time of Mercator we had ‘upside down’ maps, such as the portolan chart below by Vesconte Maggiolo (1512). It was drawn from the perspective of the explorer rather than the authority of the state. And more recently we have maps like Buckminster-Fuller’s brilliant Dymaxion map that strives to show the ‘connectedness and oneness of the planet'. As you can see, maps always have agendas. Maps are created by the people who need them, whether that’s to navigate, define, control or communicate. Often they are drawn not just to help locate spatially but also to reflect many other attributes of a place. And sometimes the ‘exactitude’ of the spatial representation is subordinate to other meaning and messages. Or it simply doesn’t fit the cartographic language we may be accustomed to, like the maps of the indigenous peoples of America, Australia and Polynesia. So you want to create a #dataviz map, cool! Does your audience know how to read it?? When it comes to maps, context is still the key. It shapes them and layers on meaning, sometimes hidden, sometimes overt. And despite Google Maps we still use many other types of maps, such as the tourists maps we pickup on vacation with their exaggerated landmarks, or the directions we give a stranger. Those personal maps reflect ideas about a place we hold in our heads, that when revealed tell more about us than the geography (see below). 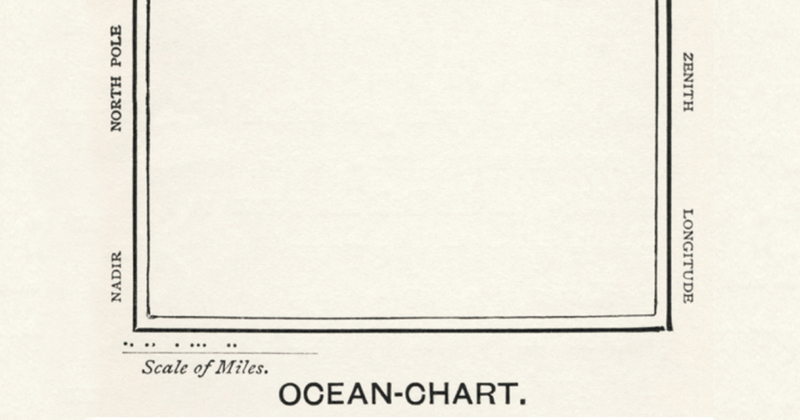 The header image is Lewis Carroll’s now infamous ‘ocean-chart’ from The Hunting of the Snark. The map is a featureless, empty space reflecting the ocean and the unknown; a dark place full of dragons and monsters waiting to be explored and brought forth into the light. However, here’s another ‘map of the ocean’ this time from the Marshall Islands. It’s a ‘stick chart'. 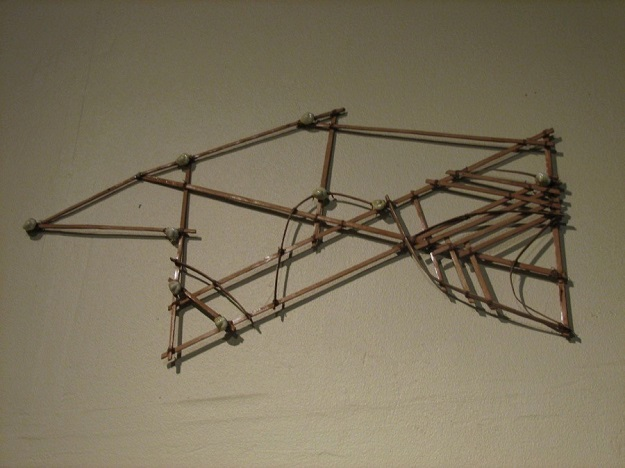 The shells represent islands, and the sticks represent currents and lines of swell. It’s the unknown and hidden made visible – which is surely the goal of any visualization. A map is for an audience. When we create maps we must strive to understand who will be reading them. Is this a map for me, for us, or for them? Are they literate to the language of the map? When we use maps in data visualization our approach and the choices we make in the cartography and visualization does not only communicate the quantities, the metrics, but can also confuse and express a bias we may not be aware of. Always ask yourself: “Will my audience know how to read this map?” and "What else is this map communicating?"